Easy On The Eye Books have designed a computer monitor desktop background pattern to be used on your Mac. 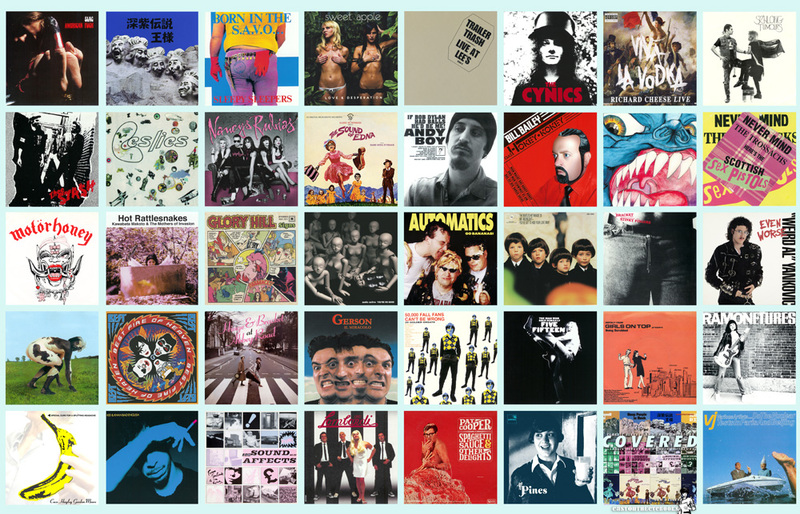 It has 40 of the best copy covers, all based on famous rock and pop sleeves, and you can have fun seeing if your friends can spot them all. The desktop image is optimised to work at a monitor resolution of 1280 X 1024 pixels, though it will work on smaller screens. You can download the image (file size 1.2MB) free using the link below (the image above is just a sample); once you’ve gone to the page, just drag the full-size image over to your existing desktop. Once it is on your hard-drive, use your System Preferences menu to go to the Desktop and Screensaver options and navigate to the saved image to use it. It’ll work on a PC but you’ll need to ask someone else how.